Aesthetics (also spelled esthetics) is a branch of philosophy; it is a species of value theory or axiology, which is the study of sensory or sensori-emotional values, sometimes called judgments of sentiment and taste. Aesthetics is closely associated with the philosophy of art. Aesthetics is sometimes called "the study of beauty," but that proposed definition will not do because some of the things that many people find aesthetically valuable or good or noteworthy are not beautiful in any usual or reasonable sense of the term "beautiful." The term aesthetics comes from the Greek αἰσθητική "aisthetike" and was coined by the philosopher Alexander Gottlieb Baumgarten in 1735 to mean "the science of how things are known via the senses." The term aesthetics was used in German, shortly after Baumgarten introduced its Latin form (Aesthetica), but was not widely used in English until the beginning of the 19th century. However, much the same study was called studying the "standards of taste" or "judgments of taste" in English, following the vocabulary set by David Hume prior to the introduction of the term "aesthetics." 1 What is an aesthetic judgment? 1.1 What factors are involved in an aesthetic judgment? 1.2 Are different art forms beautiful, disgusting, or boring in the same way? 3 Are there aesthetic universals? 4.1 What counts as "art?" 4.2 What should we judge when we judge art? 4.3 What should art be like? 4.4 What is the value of art? Today the word "aesthetics" may mean (1) the study of all the aesthetic phenomena, (2) the study of the perception of such phenomena, (3), the study of art or what is considered to be artistically worthwhile or notable or "good," as a specific expression of what is perceived as being aesthetic. What is an aesthetic judgment? 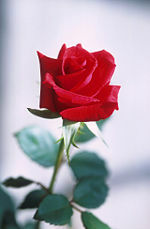 Many see natural beauty folded within petals of a rose or other flower. Judgments of aesthetic value rely on our ability to discriminate at a sensory level. Aesthetics examines what makes something beautiful, sublime, disgusting, fun, cute, silly, entertaining, pretentious, stimulating, discordant, harmonious, boring, humorous, or tragic. Immanuel Kant, writing in 1790, observed of a man that "If he says that canary wine is agreeable he is quite content if someone else corrects his terms and reminds him to say instead: It is agreeable to me," because "Everyone has his own taste(of sense)." The case of "beauty" is different from mere "agreeableness" because, "If he proclaims something to be beautiful, then he requires the same liking from others; he then judges not just for himself but for everyone, and speaks of beauty as if it were a property of things." Aesthetic judgments usually go beyond sensory discrimination. For David Hume, delicacy of taste is not merely "the ability to detect all the ingredients in a composition," but also our sensitivity "to pains as well as pleasures, which escape the rest of mankind." Thus, sensory discrimination is linked to capacity for pleasure. For Kant "enjoyment" is the result when pleasure arises from sensation, but judging something to be "beautiful" has a third requirement: sensation must give rise to pleasure by engaging our capacities of reflective contemplation. Judgments of beauty are sensory, emotional, and intellectual all at once. Judgments of aesthetic value seem often to involve many other kinds of issues as well. Responses such as disgust show that sensory detection is linked in instinctual ways to facial expressions, and even behaviors like the gag reflex. Yet disgust can often be a learned or cultural issue too; as Darwin pointed out, seeing a stripe of soup in a man's beard is disgusting even though neither soup nor beards are themselves disgusting. Aesthetic judgments may be linked to emotions or, like emotions, partially embodied in our physical reactions. Seeing a sublime view of a landscape may give us a reaction of awe, which might manifest physically as an increased heart rate or widened eyes. These subconscious reactions may even be partly constitutive of what makes our judgment a judgment that the landscape is sublime. Likewise, aesthetic judgments may be culturally conditioned to some extent. Victorians in Britain often saw African sculpture as ugly, but just a few decades later, Edwardian audiences saw the same sculptures as being beautiful. Evaluations of beauty may well be linked to desirability, perhaps even to sexual desirability. Thus, judgments of aesthetic value can become linked to judgments of economic, political, or moral value. We might judge a Lamborghini automobile to be beautiful partly because it is desirable as a status symbol, or we might judge it to be repulsive partly because it signifies for us over-consumption and offends our political or moral values. 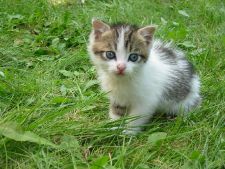 Kittens, puppies, fawns, and similar young mammals are often considered quite cute and thus beautiful and desirable. Aesthetic judgments can often be very fine-grained and internally contradictory. Likewise aesthetic judgments seem often to be at least partly intellectual and interpretative. It is what a thing means or symbolizes for us that is often what we are judging. Modern aestheticians have asserted that will and desire were almost dormant in aesthetic experience yet preference and choice have seemed important aesthetics to some twentieth-century thinkers. Thus aesthetic judgments might be seen to be based on the senses, emotions, intellectual opinions, will, desires, culture, preferences, values, subconscious behavior, conscious decision, training, instinct, sociological institutions, or some complex combination of these, depending on exactly which theory one employs. Anthropology, with the savanna hypothesis proposed by Gordon Orians, predicts that some of the positive esthetics that people have are based on innate knowledge of productive human habitats. The savanna hypothesis is confirmed by evidence. It had been shown that people prefer and feel happier looking at trees with spreading forms much more than looking at trees with other forms, or non-tree objects; also bright green colors, linked with healthy plants with good nutrient qualities, were more calming than other tree colors, including less bright greens and oranges. Another major topic in the study of aesthetic judgment is how they are unified across art forms. We can call a person, a house, a symphony, a fragrance, and a mathematical proof beautiful. What characteristics do they share that give them that status? What possible feature could a proof and a fragrance both share in virtue of which they both count as beautiful? What makes a painting beautiful may be quite different from what makes music beautiful; this suggests that each art form has its own system for the judgment of aesthetics. Or, perhaps the identification of beauty is a conditioned response, built into a culture or context. Is there some underlying unity to aesthetic judgment and is there some way to articulate the similarities of a beautiful house, beautiful proof, and beautiful sunset? Likewise there has been long debate on how perception of beauty in the natural world, especially including perceiving the human form as beautiful, is supposed to relate to perceiving beauty in art or cultural artifacts. This goes back at least to Kant, with some echoes even in St. Bonaventure. Some writers and commentators have made a link between aesthetic goodness and ethical or moral goodness. But close attention to what is often or frequently held to be aesthetically good or notable or worthwhile will show that the connection between aesthetic goodness and ethical or moral goodness is, if it exists at all, only partial and only occurs sometimes. Pablo Picasso's Guernica—arguably the greatest or most important painting of the twentieth century—is based on the aerial bombing of the town of Guernica in the Basque area of Spain on April 26, 1937, by the Nazis during the Spanish Civil War. It depicts animals and people who are torn, ripped, broken, killed, and screaming in agony and horror; those are not things that are ethically good. In addition, there is no necessary connection between aesthetic or artistic genius or talent or achievement, and ethical goodness in the artist. Picasso and Richard Wagner are only two of many similar examples that could be given. Picasso in painting and Richard Wagner in music reached the pinnacle of aesthetic achievement and taste, but, as human beings, both led lives and behaved in ways that are usually held to be highly unethical. Is there anything that is or can be universal in aesthetics, beyond barriers of culture, custom, nationality, education and training, wealth and poverty, religion, and other human differences? At least tentatively the answer seems to be yes. Either coming from God in creation, or arising by the process of naturalistic evolution—take your pick as to which of those you think is correct—some universal characteristics seem to by shared by all humans. Some scenes and motifs—some examples are mother with child, hero overcoming adversity and succeeding, demise of the arrogant or the oppressor—appeal nearly universally, as do certain musical intervals and harmonies. Imagination. Artists and their audiences entertain hypothetical worlds in the theater of the imagination. Increasingly, academics in both the sciences and the humanities are looking to evolutionary psychology and cognitive science in an effort to understand the connection between psychology and aesthetics. Aside from Dutton, others exploring this realm include Brian Boyd, Joseph Carroll, Nancy Easterlin, David Evans, Jonathan Gottschall, Paul Hernadi, Patrick Hogan, Elaine Scarry, Wendy Steiner, Robert Storey, Frederick Turner, and Mark Turner. 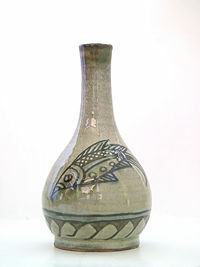 Contemporary pottery from Okinawa, Japan. It is not uncommon to find aesthetics used as a synonym for the philosophy of art, but others haver realized that we should distinguish between these two closely related fields. How best to define the term “art” is a subject of much contention; many books and journal articles have been published arguing over even the basics of what we mean by the term “art.” Theodor Adorno claimed in 1969: “It is self-evident that nothing concerning art is self-evident any more.” Artists, philosophers, anthropologists, psychologists and programmers all use the notion of art in their respective fields, and give it operational definitions that are not very similar to each other. Further it is clear that even the basic meaning of the term "art" has changed several times over the centuries, and has changed within the twentieth century as well. The main recent sense of the word “art” is roughly as an abbreviation for creative art or “fine art.” Here we mean that skill is being used to express the artist’s creativity, or to engage the audience’s aesthetic sensibilities in some way. Often, if the skill is being used in a lowbrow or practical way, people will consider it a craft instead of art, yet many thinkers have defended practical and lowbrow forms as being just as much art as the more lofty forms. Likewise, if the skill is being used in a commercial or industrial way it may be considered design, rather than art, or contrariwise these may be defended as art forms, perhaps called "applied art." Some thinkers, for instance, have argued that the difference between fine art and applied art has more to do with value judgments made about the art than any clear definitional difference. Even as late as 1912 it was normal in the West to assume that all art aims at beauty, and thus that anything that wasn't trying to be beautiful couldn't count as art. The cubists, dadaists, Igor Stravinsky, and many later art movements struggled against this conception that beauty was central to the definition of art, with such success that, according to Arthur Danto, “Beauty had disappeared not only from the advanced art of the 1960s but from the advanced philosophy of art of that decade as well.” Perhaps some notion like “expression” (in Benedetto Croce’s theories) or “counter-environment” (in Marshall McLuhan’s theory) can replace the previous role of beauty. Perhaps (as in William Kennick's theory) no definition of art is possible anymore. Perhaps art should be thought of as a cluster of related concepts in a Wittgensteinian fashion (as in Morris Weitz or Joseph Beuys). Another approach is to say that “art” is basically a sociological category, that whatever art schools and museums and artists get away with is considered art regardless of formal definitions. This "institutional definition of art" has been championed by George Dickie. Most people did not consider the depiction of a Brillo Box or a store-bought urinal to be art until Andy Warhol and Marcel Duchamp (respectively) placed them in the context of art (i.e., the art gallery), which then provided the association of these objects with the values that define art. Proceduralists often suggest that it is the process by which a work of art is created or viewed that makes it art, not any inherent feature of an object, or how well received it is by the institutions of the art world after its introduction to society at large. For John Dewey, for instance, if the writer intended a piece to be a poem, it is one whether other poets acknowledge it or not. Whereas if exactly the same set of words was written by a journalist, intending them as shorthand notes to help him write a longer article later, these would not be a poem. Leo Tolstoy, on the other hand, claims that what makes something art or not is how it is experienced by its audience, not by the intention of its creator. Functionalists like Monroe Beardsley argue that whether or not a piece counts as art depends on what function it plays in a particular context; the same Greek vase may play a non-artistic function in one context (carrying wine), and an artistic function in another context (helping us to appreciate the beauty of the human figure). Art can be confusing and difficult to deal with at the metaphysical and ontological levels as well as at the value theory level. When we see a performance of Hamlet, how many works of art are we experiencing, and which should we judge? Perhaps there is only one relevant work of art, the whole performance, which many different people have contributed to, and which will exist briefly and then disappear. Perhaps the manuscript by Shakespeare is a distinct work of art from the play by the troupe, which is also distinct from the performance of the play by this troupe on this night, and all three can be judged, but are to be judged by different standards. These problems have been made even thornier by the rise of conceptual art since the 1960s. Warhol’s famous Brillo Boxes are nearly indistinguishable from actual Brillo boxes at the time. It would be a mistake to praise Warhol for the design of his boxes (which were designed by James Harvey), yet the conceptual move of exhibiting these boxes as art in a museum together with other kinds of paintings is Warhol's. Are we judging Warhol’s concept? His execution of the concept in the medium? The curator’s insight in letting Warhol display the boxes? The overall result? Our experience or interpretation of the result? Ontologically, how are we to think of the work of art? Is it a physical object? Several objects? A class of objects? A mental object? A fictional object? An abstract object? An event? Those questions no longer seem to have clear or unambiguous answers. Closely related to the question of what art should be like is the question of what its value is. Is art a means of gaining knowledge of some special kind? Does it give insight into the human condition? How does art relate to science or religion? Is art perhaps a tool of education, or indoctrination, or enculturation? Does art make us more moral? Can it uplift us spiritually? — the answers to those two questions are surely, "Yes, sometimes, but only sometimes." Is art perhaps politics by other means? Is there some value to sharing or expressing emotions? Might the value of art for the artist be quite different than it is for the audience? — Again, the answers to those questions too are "Sometimes, but only sometimes." Might the value of art to society be quite different than its value to individuals? Do the values of arts differ significantly from form to form? Working on the intended value of art tends to help define the relations between art and other endeavors. Art clearly does have spiritual goals in many settings, but then what exactly is the difference between religious art and religion per se? — the answer seems to be that religious art is a subset of religion, per se. But is every religious ritual also a piece of performance art, so that religious ritual is a subset of art? The answer seems to be yes. We have examples of pre-historic art, but they are rare, and the context of their production and use is not very clear, so we can do little more than guess at the aesthetic doctrines that guided their production and interpretation. Ancient art was largely, but not entirely, based on the six great ancient civilizations: Ancient Egypt, Mesopotamia, Ancient Greece, Ancient Rome, Indus Valley Civilization, and China. Each of these centers of early civilization developed a unique and characteristic style in its art. 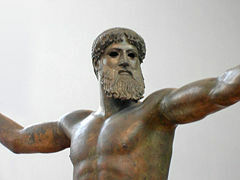 Greece had the most influence on the development of aesthetics in the West. This period of Greek art saw a veneration of the human physical form and the development of corresponding skills to show musculature, poise, beauty, and anatomically correct proportions. Ancient Greek philosophers initially felt that aesthetically appealing objects were beautiful in and of themselves. Plato felt that beautiful objects incorporated proportion, harmony, and unity among their parts. Similarly, in his Metaphysics, Aristotle found that the universal elements of beauty were order, symmetry, and definiteness. 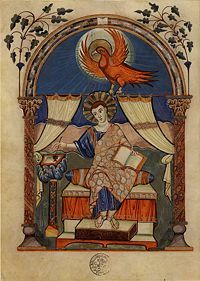 Surviving medieval art is highly religious in focus, and was usually funded by the Roman Catholic Church, powerful ecclesiastical individuals, or wealthy secular patrons. Often the pieces have an intended liturgical function, such as altar pieces or statuary. Figurative examination was typically not an important goal, but being religiously uplifting was. One reason for the prevalence of religious art, including dance, theater, and other performance arts during the medieval period, was that most people were illiterate and such art presentations were used to teach them the content of their religion. Reflection on the nature and function of art and aesthetic experiences follows similar lines. St. Bonaventure’s Retracing the Arts to Theology is typical and discusses the skills of the artisan as gifts given by God for the purpose of disclosing God to mankind via four “lights”: the light of skill in mechanical arts which discloses the world of artifacts, as guided by the light of sense perception which discloses the world of natural forms, as guided by the light of philosophy which discloses the world of intellectual truth, as guided by the light of divine wisdom which discloses the world of saving truth. As the medieval world shifts into the Renaissance art again returns to focus on this world and on secular issues of human life. The philosophy of art of the ancient Greeks and Romans is re-appropriated. From the late seventeenth to the early twentieth century Western aesthetics underwent a slow revolution into what is often called modernism. German and British thinkers emphasized beauty as the key component of art and of the aesthetic experience, and saw art as necessarily aiming at beauty. For Alexander Gottlieb Baumgarten aesthetics is the science of the sense experiences, a younger sister of logic, and beauty is thus the most perfect kind of knowledge that sense experience can have. For Immanuel Kant the aesthetic experience of beauty is a judgment of a subjective but universal truth, since all people should agree that “this rose is beautiful” if, in fact, it is. However, beauty cannot be reduced to any more basic set of features. For Friedrich Schiller aesthetic appreciation of beauty is the most perfect reconciliation of the sensual and rational parts of human nature. For Georg Wilhelm Friedrich Hegel all culture is a matter of "absolute spirit" coming to be manifest to itself, stage by stage. Art is the first stage in which the absolute spirit is manifest immediately to sense-perception, and is thus an objective rather than subjective revelation of beauty. For Arthur Schopenhauer aesthetic contemplation of beauty is the most free that the pure intellect can be from the dictates of will; here we contemplate perfection of form without any kind of worldly agenda, and thus any intrusion of utility or politics would ruin the point of the beauty. The British were largely divided into intuitionist and analytic camps. The intuitionists believed that aesthetic experience was disclosed by a single mental faculty of some kind. For the Earl of Shaftesbury this was identical to the moral sense, beauty just is the sensory version of moral goodness. For philosopher Francis Hutcheson beauty is disclosed by an inner mental sense, but is a subjective fact rather than an objective one. Analytic theorists such as Lord Kames, William Hogarth, and Edmund Burke hoped to reduce beauty to some list of attributes. 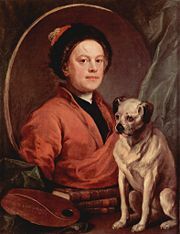 Hogarth, for example, thought that beauty consists of (1) fitness of the parts to some design; (2) variety in as many ways as possible; (3) uniformity, regularity or symmetry, which is only beautiful when it helps to preserve the character of fitness; (4) simplicity or distinctness, which gives pleasure not in itself, but through its enabling the eye to enjoy variety with ease; (5) intricacy, which provides employment for our active energies, leading the eye "a wanton kind of chase"; and (6) quantity or magnitude, which draws our attention and produces admiration and awe. Later analytic aestheticians strove to link beauty to some scientific theory of psychology (such as James Mill) or biology (such as Herbert Spencer). The challenge, issued by early twentieth century artists, poets and composers, to the assumption that beauty was central to art and aesthetics led, in response, to various attempts since then to define a post-modern aesthetics. Jean-François Lyotard re-invokes the Kantian distinction between taste and the sublime. Sublime painting, unlike kitsch realism, "…will enable us to see only by making it impossible to see; it will please only by causing pain." Islamic art is perhaps the most accessible manifestation of a complex civilization that often seems enigmatic to outsiders. Through its use of color and its balance between design and form, Islamic art creates an immediate visual impact. Its aesthetic appeal transcends distances in time and space, as well as differences in language, culture, and creed. For an American audience a visit to the Islamic galleries of a museum such as the Los Angeles County Museum of Art can represent the first step toward penetrating the history of a religion and a culture that are often in the news but are little understood. Further, Allah was taken to be immune to representation via imagery, so nonrepresentational imagery was developed to a high degree. Thus Islamic aesthetics emphasized the decorative function of art, or its religious functions via non-representational forms. Geometric patterns, floral patterns, arabesques, and abstract forms were common. Order and unity were common themes. Islamic art is also characterized by a tendency to use patterns made of complex geometric or vegetal elements or patterns (such as the arabesque). This type of nonrepresentational decoration may have been developed to such a high degree in Islamic art because of the absence of figural imagery, at least within a religious context. These repetitive patterns are believed by some people to lead to contemplation of the infinite nature of God. Figural imagery is also an important aspect of Islamic art, occurring mostly in secular and courtly arts. These are found in a wide variety of media and in most periods and places in which Islam flourished. But representational imagery almost always occurs only in a private context, and figurative art is excluded from religious monuments and contexts. Forbidding of representational art from religious contexts comes about because of Islamic hostility concerning things that could be considered to be idols; those are explicitly forbidden by the Qur'an. A distinction can be drawn here between Western and Islamic art. In Western art, painting and sculpture are preeminent, but in Islamic cultures decorative arts predominate. These decorative arts were expressed in inlaid metal and stone work, textiles and carpets, illuminated manuscripts, glass, ceramics, and carved wood and stone. Royal patronage was important for many Islamic arts. 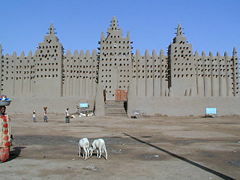 Rulers were responsible for constructing mosques and other religious buildings, and Islamic arts were expressed in those structures and their accoutrements. Royal patronage also extended to secular arts. Indian art evolved with an emphasis on inducing special spiritual or philosophical states in the audience, or with representing them symbolically. According to Kapila Vatsyayan, Classical Indian architecture, Indian sculpture, Indian painting, Indian literature (kaavya), Indian music, and Indian dance "evolved their own rules conditioned by their respective media, but they shared with one another not only the underlying spiritual beliefs of the Indian religio-philosophic mind, but also the procedures by which the relationships of the symbol and the spiritual states were worked out in detail." Chinese art has a long history of varied styles and emphases. In ancient times philosophers were already arguing about aesthetics, and Chinese aesthetics has been influenced by Daoism, Confucianism, and Buddhism. The basic assumption of Chinese aesthetics is that the phenomenal world mirrors the way of Dao or nature. The Dao is not something separate, but it is a manifestation of the pattern of the natural world, so the human must understand the Dao and act in accordance with it. This is an organic view of nature in that it includes all reality, there is no separate transcendent realm. Heaven, earth, and humans form a unit. Moreover, nature itself is self-creative, and results in beauty and harmony. In this view all things—including rocks and water—have vitality or qi, the “breath” of life. All phenomena are organically interrelated., and the world is a continuous field of qi, with each phenomenon not a separate thing but rather a temporary form within it, like a whirlpool in a stream. The purpose of art, then, was to draw out the spirit of phenomena, instead of depicting a surface reality. Painters or sculptors are supposed to capture the specific qi of a thing, and if the artist succeeds in this, then the artwork itself will exhibit qi. In doing so, the artist is a participant in the creativity of nature. To do this, according to Chinese theory, the artist needs to go through meditative practices that free him from attachment to a separate self and its desires, and that allow him to concentrate on the subject until he achieves a direct communion with it. Communing with nature in this way is possible because we humans are part of nature and thus not ontologically separate from or different from it. Confucius emphasized the role of the arts and humanities (especially music and poetry) in broadening human nature and aiding “li” (etiquette, the rites) in bringing us back to what is essential about humanity. His opponent Mozi, however, argued that music and fine arts were classist and wasteful, benefiting the rich but not the common people—an attitude that would be expressed again by the Marxists in the twentieth century. By the fourth century C.E., artists were debating in writing over the proper goals of art as well. Gu Kaizhi has three surviving books on this theory of painting, for example, and it is not uncommon to find later artist/scholars who both create art and write about the creating of art. Religious and philosophical influence on art was common (and diverse) but never universal; it is easy to find art that largely ignores philosophy and religion in almost every Chinese time period. Although Africa is a large continent with many different peoples and diverse standards of art and beauty, there are certain identifiable patterns that seem to prevail across those differences. Luminosity — shiny smooth surfaces, representing healthy skin. Youthfulness — sculptures commonly depict youthful figures, as illness and deformity are considered to be signs of evil. Self-composure — the subject is controlled, proud, and "cool." Film combines many diverse disciplines, each of which may have its own rules of aesthetics. The aesthetics of cinematography are partly related to still photography, but the movement of the subject(s), or the camera and the fact that the result is a moving picture experience that takes place over time are important additions. (See the article "Cinematography.") Sound recording, editing, and mixing are other, highly important areas of film and film aesthetics, as is the use of a musical score. As in theater, art direction in the design of the sets and shooting locations also applies, as well as costume design and makeup. All of these disciplines are closely inter-twined and must be brought together by the aesthetic sensibilities of the film director. Film editing (known in French as montage) is probably the one discipline unique to film, video, and television. The timing, rhythm and progression of shots form the ultimate composition of the film. This procedure is one of the most critical element of post production, and incorporates sound editing and mixing, as well as the design and execution of digital and other special effects. In the case of a video installation, the method of presentation becomes critical. The work may be screened on a simple monitor or on many, be projected on a wall or other surface, or incorporated into a larger sculptural installation. A video installation may involve sound, with similar considerations to be made based on speaker design and placement, volume, and tone. Aesthetic considerations within the visual arts are usually associated with the sense of vision. A painting or sculpture, however, is also perceived spatially by recognized associations and context, and even to some extent by the senses of smell, hearing, and touch. The form of the work can be subject to an aesthetic as much as the content. In painting, the aesthetic convention that we see a three-dimensional representation rather than a two-dimensional canvas is so well understood that most people do not realize that they are making an aesthetic interpretation. This notion is central to the artistic movement known as abstract impressionism. In the United States during the postwar period, the "push-pull" theories of Hans Hofmann, positing a relation between color and perceived depth, strongly influenced a generation of prominent abstract painters, many of whom studied under Hofmann and were generally associated with abstract expressionism. Hofmann's general attitude toward abstraction as virtually a moral imperative for the serious painter was also extremely influential. Some aesthetic effects available in visual arts include variation, juxtaposition, repetition, field effects, symmetry/asymmetry, perceived mass, subliminal structure, linear dynamics, tension and repose, pattern, contrast, perspective, two and three dimensionality, movement, rhythm, unity/Gestalt, matrixiality, and proportion. Aesthetics in cartography relates to the visual experience of map reading and can take two forms: responses to the map itself as an aesthetic object (e.g., through detail, color, and form) and also the subject of the map symbolized, often the landscape (e.g., a particular expression of terrain which forms an imagined visual experience of the aesthetic). Cartographers make aesthetic judgments when designing maps to ensure that the content forms a clear expression of the theme(s). Antique maps are perhaps especially revered due to their aesthetic value, which may seem to be derived from their styles of ornamentation. As such, aesthetics are often wrongly considered to be a by-product of design. If it is taken that aesthetic judgments are produced within a certain social context, they are fundamental to the cartographer's symbolization and as such are integral to the function of maps. Some of the aesthetic elements expressed in music include lyricism, harmony and dissonance, hypnotism, emotiveness, temporal dynamics, volume dynamics, resonance, playfulness, color, subtlety, elatedness, depth, and mood (see musical development). Aesthetics in music are often believed to be highly sensitive to their context: what sounds good in modern rock music might sound terrible in the context of the early baroque age. Moreover the history of music has numerous examples of composers whose work was considered to be vulgar, or ugly, or worse on its first appearance, but that became an appreciated and popular part of the musical canon later on. Performing arts appeal to our aesthetics of storytelling, grace, balance, class, timing, strength, shock, humor, costume, irony, beauty, drama, suspense, and sensuality. Whereas live stage performance is usually constrained by the physical reality at hand, film performance can further add the aesthetic elements of large-scale action, fantasy, and a complex interwoven musical score. Performance art often consciously mixes the aesthetics of several forms. Role-playing games are sometimes seen as a performing art with an aesthetic structure of their own, called role-playing game (RPG) theory. In poetry, short stories, novels and non-fiction, authors use a variety of techniques to appeal to our aesthetic values. Depending on the type of writing an author may employ rhythm, illustrations, structure, time shifting, juxtaposition, dualism, imagery, fantasy, suspense, analysis, humor/cynicism, thinking aloud, and other means. In literary aesthetics, the study of "effect" illuminates the deep structures of reading and receiving literary works. These effects may be broadly grouped by their modes of writing and the relationship that the reader assumes with time. Catharsis is the effect of dramatic completion of action in time. Kairosis is the effect of novels whose characters become integrated in time. Kenosis is the effect of lyric poetry which creates a sense of emptiness and timelessness. Although food is a basic and frequently experienced commodity, careful attention to the aesthetic possibilities of foodstuffs can turn eating into gastronomy. Chefs inspire our aesthetic enjoyment through the visual sense using color and arrangement; they inspire our senses of taste and smell using spices and seasonings, diversity/contrast, anticipation, seduction, and decoration/garnishes. 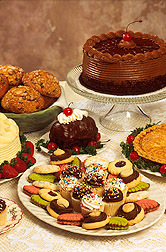 The aesthetics of drinks and beverages and their appreciation, including non-alcoholic and alcoholic drinks, liquors and spirits, beers, and especially wines, is a huge field with specialized aesthetic and other considerations, vocabularies, experts in particular fields, and agreements and disagreements among connoisseurs, publications and literature, industries, etc. In regard to drinking water, there are formal criteria for aesthetic value including odor, color, total dissolved solids, and clarity. There are numerical standards in the United States for acceptability of these parameters. The aesthetics of mathematics are often compared with music and poetry. Hungarian mathematician Paul Erdős expressed his views on the indescribable beauty of mathematics when he said: "Why are numbers beautiful? It's like asking 'why is Beethoven's Ninth Symphony beautiful?'" Mathematics and numbers appeal to the "senses" of logic, order, novelty, elegance, and discovery. Some concepts in mathematics with specific aesthetic application include sacred ratios in geometry (with applications to architecture), the intuitiveness of axioms, the complexity and intrigue of fractals, the solidness and regularity of polyhedra, and the serendipity of relating theorems across disciplines. Industrial Design: Designers heed many aesthetic qualities to improve the marketability of manufactured products: smoothness, shininess/reflectivity, texture, pattern, curviness, color, simplicity, usability, velocity, symmetry, naturalness, and modernism. The staff of the design aesthetics section of an industry or company focuses on design, appearance, and the way people perceive products. Design aesthetics is interested in the appearance of products; the explanation and meaning of this appearance is studied mainly in terms of social and cultural factors. The distinctive focus of the section is research and education in the field of sensory modalities in relation to product design. These fields of attention generate design considerations that enable engineers and industrial designers to design products, systems, and services, and match them to the correct field of use. Although structural integrity, cost, the nature of building materials, and the functional utility of the building contribute heavily to the design process, architects can still apply aesthetic considerations to buildings and related architectural structures. Common aesthetic design principles include ornamentation, edge delineation, texture, flow, solemnity, symmetry, color, granularity, the interaction of sunlight and shadows, transcendence, and harmony. Interior designers, being less constrained by structural concerns, have a wider variety of applications to appeal to aesthetics. They may employ color, color harmony, wallpaper, ornamentation, furnishings, fabrics, textures, lighting, various floor treatments, as well as adhere to aesthetic concepts such as feng shui. Landscape designers draw upon design elements such as axis, line, landform, horizontal and vertical planes, texture, and scale to create aesthetic variation within the landscape. Additionally, they usually make use of aesthetic elements such as pools or fountains of water, plants, seasonal variance, stonework, fragrance, exterior lighting, statues, and lawns. Fashion designers use a variety of techniques to allow people to express themselves by way of their clothing. To create wearable personality designers use fabric, cut, color, scale, texture, color harmony, distressing, transparency, insignia, accessories, beading, and embroidery. Some fashions incorporate references to the past, while others attempt to innovate something completely new or different, and others are small variations on received designs or motifs. ↑ See J. H. Bernard's 1892 translation of Immanuel Kant's Critique of Judgement. ↑ 3.0 3.1 Immanuel Kant, The Critique of Judgment. ↑ Arthur Danto, The Abuse of Beauty, 35. ↑ 1911 Encyclopædia Britannica/Aesthetics, Wikisource. Retrieved June 20, 2007. ↑ The point is already made by Hume, but see Mary Mothersill, "Beauty and the Critic’s Judgment," The Blackwell Guide to Aesthetics. (2004). ↑ Virginia I. Lohr "Benefits of Nature: What We Are Learning about Why People Respond to Nature" Journal of PHYSIOLOGICAL ANTHROPOLOGY 26/2 (2007): 83-85. Retrieved June 20, 2007. ↑ Consider Clement Greenberg’s arguments in "On Modernist Painting," reprinted in Aesthetics: A Reader in Philosophy of Arts (1961). ↑ Davies, (1991), Carroll, (2000), et al. ↑ Arthur Danto, The Abuse of Beauty, 2003. ↑ Arthur Danto, "Kalliphobia in Contemporary Art." Art Journal. 63/2 (Summer 2004): 24-35. ↑ Jean-FrançoiseLyotard, "What is Postmodernism?" The Postmodern Condition. (Minnesota and Manchester, 1984). ↑ Islamic Art, Browse Collections Online, the Los Angeles County Museum of Art. Retrieved June 20, 2007. ↑ David Landis Barnhill. EAST ASIAN AESTHETICS AND NATURE, The Encyclopedia of Religion and Nature, Continuum, 2005. Retrieved June 20, 2007. ↑ Susan M. Vogel,"Elements of the African Aesthetic," African Aesthetics. (Center for African Art, 1986.) Retrieved June 20, 2007. Bender, John and Gene Blocker. Contemporary Philosophy of Art: Readings in Analytic Aesthetics, 1993. Dallas, E. S. The Gay Science - in 2 volumes, on the aesthetics of poetry, published in 1866. Goldblatt, David and Lee Brown, ed. Aesthetics: A Reader in the Philosophy of the Arts. 1997. Hofmann, Hans, Sara T. Weeks, and Bartlett H. Hayes. Search for the Real, And Other Essays. Cambridge, MA: M.I.T. Press, 1967. Kent, A. J. "Aesthetics: A Lost Cause in Cartographic Theory?" The Cartographic Journal, 42/2 (2005): 182-8. Novitz, David. The Boundaries of Art. 1992. Santayana, George. The Sense of Beauty. Being the Outlines of Aesthetic Theory. New York: Modern Library, 1955. Schiller,Friedrich. On the Aesthetic Education of Man, , Dover Publications, 2004. Tatarkiewicz, Władysław. History of Aesthetics, 3 vols. :1–2, (1970); 3, (1974), The Hague: Mouton. Internet Encyclopedia of Philosophy: Aesthetics. Stanford Encyclopedia of Philosophy entries on Aesthetics. A number of articles on Aesthetics. Revised interpretation of founding's and concepts through an history of aesthetics Magazin für Kultur, Gesellschaft und Kunst. How Form Functions: On Esthetics and Gestalt Theory. This page was last modified on 5 February 2019, at 00:36.